Would you believe that making a homemade cake mix is faster and cheaper than running to the store to buy one in a box? It’s true. 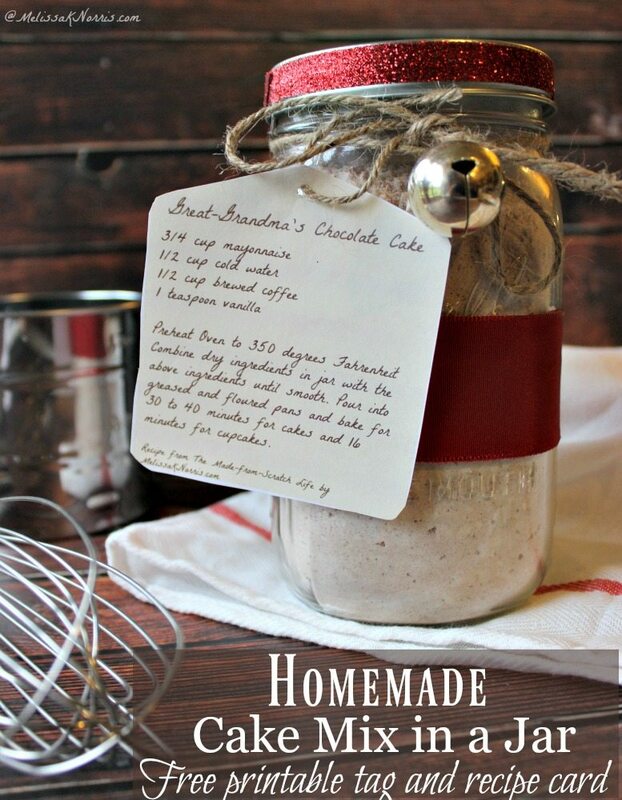 Plus, this homemade cake mix recipe tastes better than the boxed counter part, doesn’t contain any questionable GMO ingredients, and it can be stored in one of my favorite items of all time, a Mason jar. This is my great-grandmother’s Chocolate Cake recipe and you know when a recipe has been passed down for that many year’s, it’s a keeper. Ain’t no one passing down and making a recipe for that many generations if it isn’t good, can I get an amen? 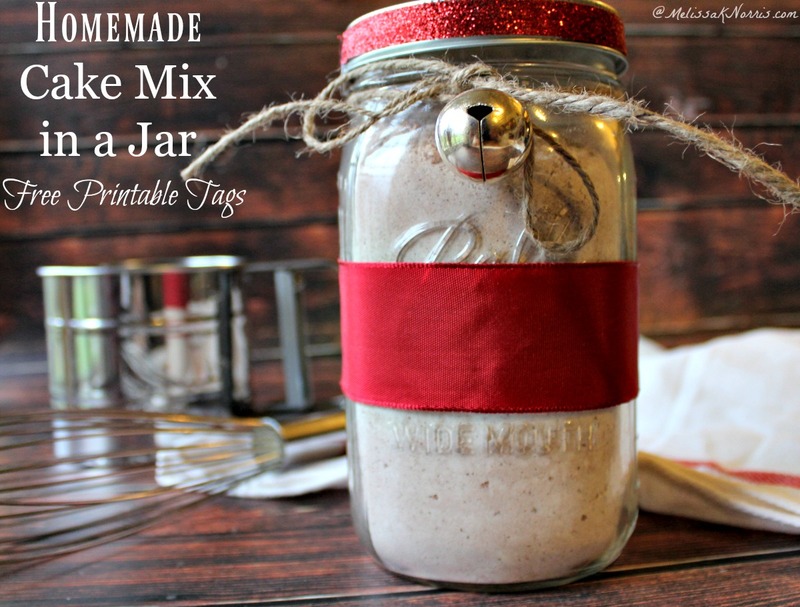 FREE printable jar tag and the full recipe card.Click here for FREE Printable Jar Tag and Recipe Card! Get yourself more from scratch cooking and time tested recipes in The Made-from-Scratch Life. 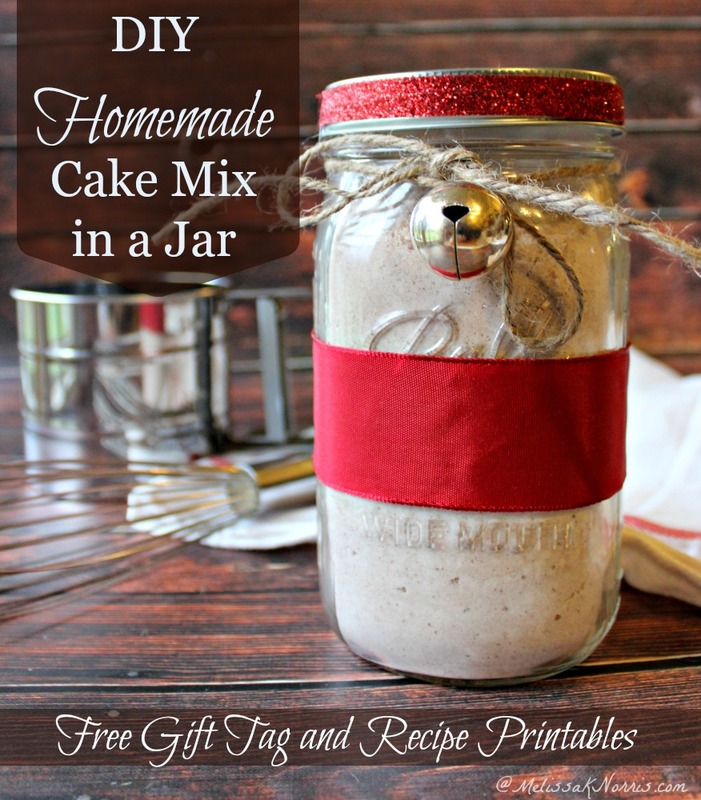 With over $20 in free bonuses, this is the perfect book to give with this homemade cake mix in a jar recipe so they’ll never go back to store bought processed stuff again! Tap the top of the dry ingredients to help remove the air pockets and settle all of the ingredients into the jar. Place a metal canning lid (I wash and dry used canning lids for these dry goods projects) and band on. Pretty up the jar however you want, I especially like this red and white jute twine and silver jingle bells for the holidays. Attach the FREE printable tag with baking instructions. Combine ingredients in jar with 3/4 cup mayonnaise, 1/2 cup cold water, 1/2 cup brewed coffee and 1 teaspoon vanilla. Stir until smooth and pour into greased and floured pans (two 8 inch cake pans, one 9×13 baking pan or cupcake tins). Bake cake for 30 to 40 minutes or bake cupcakes for 16 minutes. Allow to cool before frosting.